Party in the Park at UCI Homecoming! 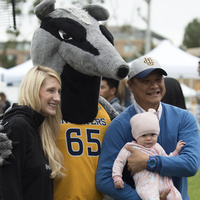 Bring your Anteater friends and celebrate at our campus-wide festival at the heart of UCI in Aldrich Park. The festival will feature the Family Fun Zone, school exhibits, Art in the Park, live music & dance performances, class reunions and more. Free parking.